One question that has been coming my way recently is how would those that are interested in InfoSec actually get started in this field of white-hat hacking. This page is a collection of suggestions that have been given to me by friends and colleagues in an attempt to answer that question. It is in no way supposed to be a concise list, nor would I want it to be. Start with what’s below and then reach out and find more. Pluralsight is a fantastic collection of online courses covering many topics. They have a great collection of Ethical Hacking courses. This site is a fantastic collection of games and challenges. They start off assuming no knowledge at all with the great Bandit game. It teaches you the basics needed through a series of 26 levels, each one teaching you something new. The New Year comes round so fast! Too fast for my liking. Mostly because it means that we have to stop buying new board games until we’ve played through our library. We shall not purchase any more board games until we have played all the board games we own, at least once. Games themselves count once, then each expansion pack also counts, unless it makes sense to combine the packs (judges final decision etc.) For something like Carcassonne we would play the two expansion packs we have separately, for Escape: Curse of the Temple we put the two expansion packs we have together into one game as it makes more sense to play them together as a single expansion. However we would still play Escape twice. Once without the expansions and secondly with both expansions. 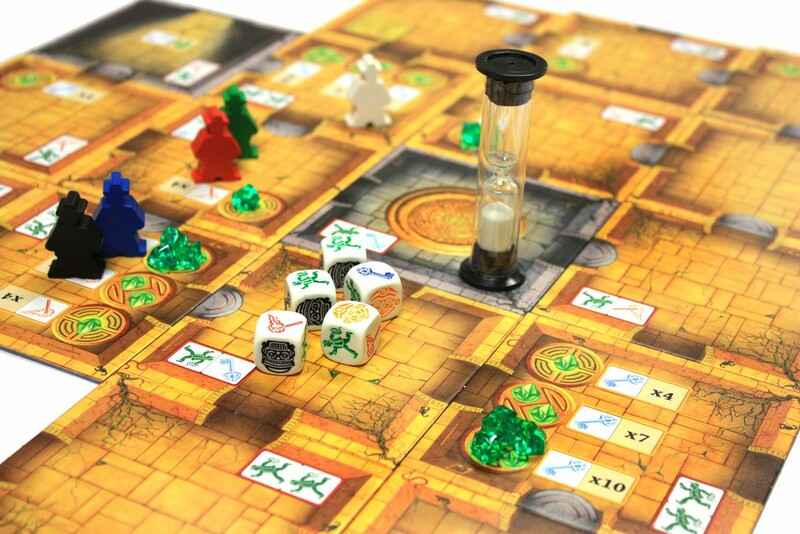 Escape, Curse of the Temple: You can’t have more fun in 10 minutes! The latest game to turn up on the Board Game Truce this year was Small World. It’s a game that Amy and I have played once or twice before but it’s not something we’ve regularly gone back to. Last night as we got through an initial “rules refresher” game, then another “proper” game, we wondered why we hadn’t picked it up as often as we both really enjoyed it. 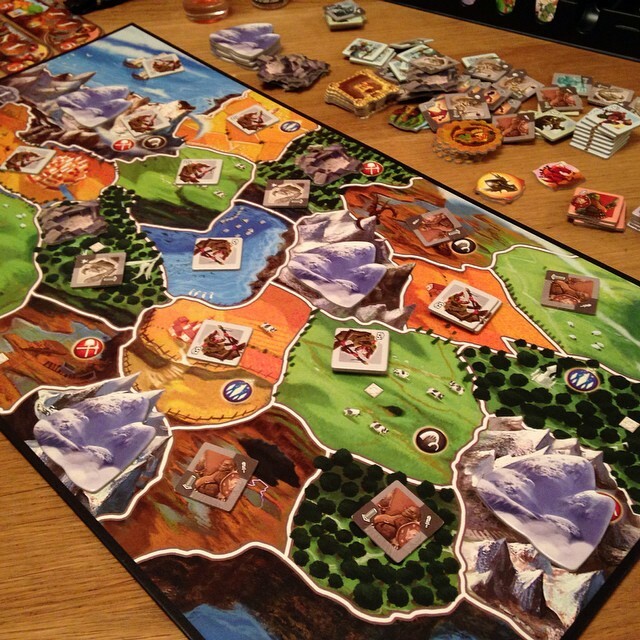 For two players you start with a smaller world map (up to five players can be accommodated on a much larger map than the picture below); the aim of the game is to get to the victory point total first. Victory points are gained through conquering areas of the map, for which the player gains one victory point at the end of each round. So, another year is upon us and with the bells of Big Ben still ringing in our ears it’s time to begin the big Board Game Truce of 2015. We shall not purchase any more board games until we have played all the board games we own at least once. It’s quite a simple rule really. What it does mean is that the game playing becomes competitive with a running total of who’s won the most games, and for games such as Castle Panic or Pandemic, did we beat the game.